Here come Aziraphale and Crowley. Amazon has ordered the Good Omens TV show to series. 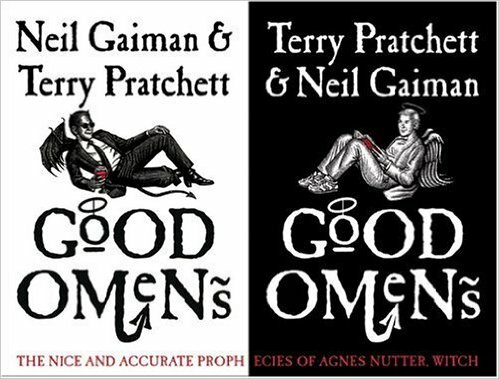 A comedic apocalyptic limited series, Good Omens is based on the novel by Neil Gaiman and the late Terry Pratchett. Showrunner Gaiman is writing the six hourlong episode series, which should premiere on Amazon Prime in 2018. Check out the Amazon press release, after the jump. Check out this Amazon press release, for all the details. SEATTLE–(BUSINESS WIRE)–Jan. 19, 2017– (NASDAQ: AMZN)—Amazon Studios today announced it has greenlit Good Omens, an hour-long limited comedy series based on Neil Gaiman’s (American Gods) and Terry Pratchett’s (Colour of Magic) acclaimed novel of the same name. Set to debut in 2018 on Prime Video, Good Omens is a six-part series that has been entirely written by Gaiman, who will also serve as Showrunner. BBC Studios is co-producing the series with Narrativia and The Blank Corporation and in association with BBC Worldwide for Amazon Prime Video and the BBC. Terry Pratchett was the acclaimed creator of the global bestselling Discworld series, the first of which—The Colour of Magic—was published in 1983. 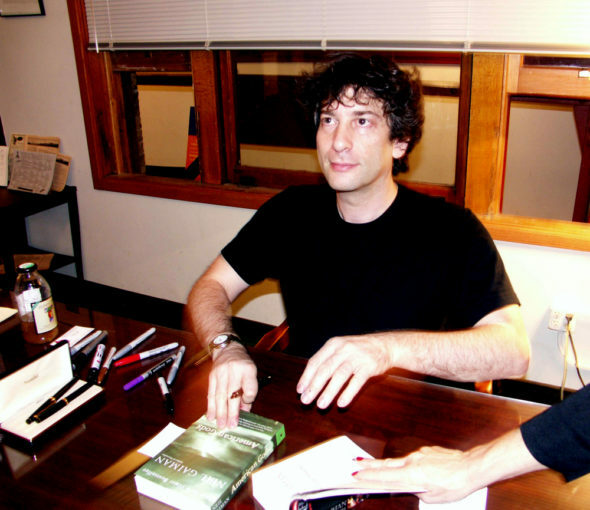 As a young journalist, Neil Gaiman was the first person ever to interview him. Terry’s books have been widely adapted for stage and screen, and he was the winner of multiple prizes, including the Carnegie Medal, as well as being awarded a knighthood for literature. He died in March 2015. What do you think? Have you read the Pratchett-Gaiman novel? Do you plan to check out the Good Omens TV show, when it premieres on Amazon? Tell us.